By Brian Voo in Internet. Updated on November 19, 2018 . You can do everything online these days, including having an online brainstorming sessions with colleagues or friends who you can’t meet up with in the flesh. But the problem with communicating online is how to keep track of what everyone’s saying. If you want to take notes and catch up with the flow of the discussion, you’re going to need the right tool for it, or else it’s going to turn out like a badly managed meeting. We’ve found a free service, Pinsi.de that works like an online pinboard or bulletin board. Go to Pinsi.de and register for an account. 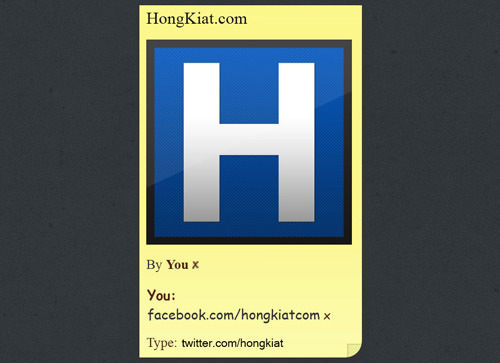 Even the sign-up form looks like a Post-It note! From there you can create "Boards". This list of Boards can only be seen and accessed by you. 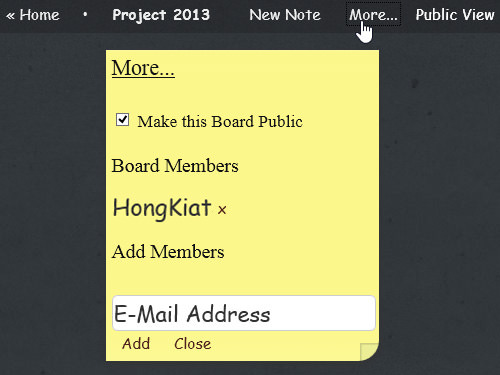 You can add notes to your Board by clicking the New Note button at the top menu bar. You can create multiple notes, move the notes around the board and arrange them on top of each other for better organisation. Add an image to your note. You cannot upload images but you can provide a direct link to the image. There is also the option to notify other collaborators (if any) by email. Add more information to your notes by typing into the box next to the word ‘Type’ on your existing note. Delete any information by clicking the X button next to the info you want to remove. 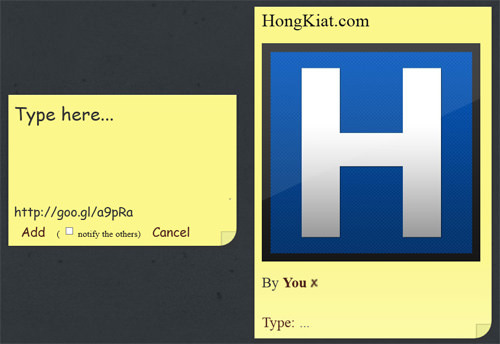 To delete a note, click on the X next to the words ‘By You’. As there is no back-up service, notes that are deleted will not be recoverable. 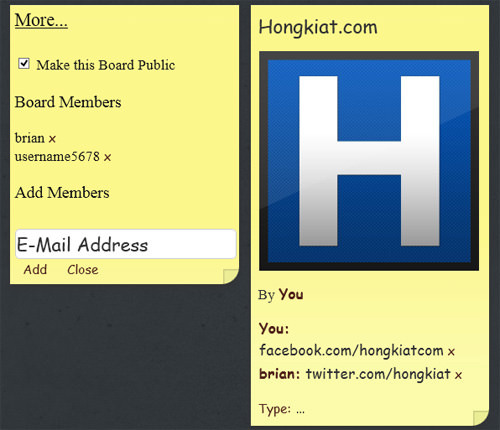 To make your Boards public, go to More… at the top menu bar and check the box next to ‘Make this Board Public’; add the members you want to include by typing in their email address. You automatically become a moderator when inviting people to board, and you can view the list of members who have access to the Board. This also gives you the power to remove members by clicking on the X next to the name you want to remove. Its use is similar to a bulletin board where everyone can add or remove information from a board in real-time and you can tell which collaborator has made changes to the board. Teams can use this as a to-do list or as a meeting agenda to keep everyone on the same page. Pinsi.de is a fun and convenient way to gather all your ideas and notes in one central location for everyone to see. With the option to make your own board public, you do not have to invite everyone but rather just give them the link and they can view all your notes on your board.